In the beauty world, few names are as synonymous with beauty and skincare as Estée Lauder. 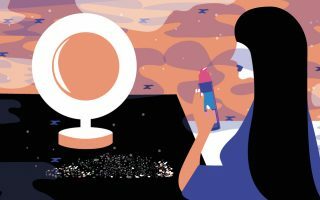 The global company now includes nearly 30 brands, including MAC, Clinique and Crème de la Mer and is sold all over the world, but it has very humble roots. Here’s a closer look at the woman behind the brand, Estée Lauder herself, what the company sells today, and are Estée Lauder products right for you? Estée Lauder was born in New York, in 1908 to Hungarian and Czechoslovakian parents. She became interested in beauty after her Hungarian uncle, a chemist, came to live with her family, and started whipping up skin creams in the kitchen. She learned how to make her own creams as well as the best way to apply them. Inspired by the belief that “There are no homely women, only careless women,” Lauder launched a beauty company with just four products. Estée Lauder, the company, was officially launched in 1946. Lauder promoted her products by pounding the pavement and introducing them to women at beauty salons where she gave out free samples of her products. This was considered unusual at the time. Her first big order was $800 worth of products from Saks Fifth Avenue, which sold out in two days. The 1953 launch of Youth Dew beauty oil was the company’s first blockbuster product. It was a bath oil scented with jasmine, vetiver and patchouli. Lauder also pioneered the “Gift With Purchase” concept which is now considered a mainstay. What does Estée Lauder Sell? Today the Estée Lauder brand sells a wide variety of products, including makeup, creams, skincare, serums and fragrance. Here’s a closer look. Estée Lauder Skin Care: The comprehensive line of Estée Lauder creams and moisturizers includes DayWear Anti-Oxidant 72H-Hydration Sorbet Creme SPF 15, a whipped cream designed to have a lightweight feel, as well as Revitalizing Supreme, an anti-aging cream that can be used twice a day. The Nutritious Super-Pomegranate Radiant Energy Lotion Fresh Moist is a facial spray that adds a quick blast of moisture. Advanced Night Repair Mask is soaked with the namesake serum and is designed to give skin a quick boost. The ReNutriv line is Estée Lauder’s most expensive. The ReNutriv Ultimate Lift Generating Youth Cream retails for $310 and is powered by Floralixir Dew, which is thought to help firm and strengthen skin. Estée Lauder Eye Creams: The eye products are designed to moisturize as well as target the signs of aging. Advanced Time Zone contains grapeseed and rosemary extract to tackle fine lines, and Revitalizing Supreme+ Global Anti-Aging Cell Power Eye Gelee comes in a slim tube, and is applied with a gold tipped applicator. Estée Lauder Eye Serums: The popular Advanced Night Repair facial serum is also available as an eye serum that can be used twice a day, under an eye cream. Estée Lauder Cleansers: Advanced Night Micro Cleansing Balm transforms from a balm into a silky cleansing oil as it is massaged into the skin. The Multi-Action Foam Cleanser/Purifying Mask pulls double duty as a daily cleanser that can also be used as a three minute mask. Estée Lauder Fragrance: Estée Lauder’s original scent, Youth-Dew, is still sold today but has been joined by other classic fragrances such as Cinnabar, Intuition, White Linen and Beautiful. What Are The Most Popular Estée Lauder Products? What Ingredients Are in Estée Lauder Products? Many of the ingredients found in Estée Lauder products are commonly found in other skincare brands, such as hyaluronic acid, a key component in the Advanced Night Repair line as well as Perfectionist Pro Rapid Firm + Lift Treatment. Hyaluronic acid can hold up to 1,000 times its weight in water, making it an moisturizing all-star. Other hydrating ingredients include squalene, an emollient, and shea butter. Products like the Perfectionist Pro Instant Resurfacing Peel with 9.9% AHAs + BHA contains AHAs (alpha hydroxy acids), including glycolic, tartaric and citric acids, which exfoliate the skin by gently dissolving dead skin cells, as well as salicylic acid, an acne fighter that also sloughs off old skin cells. Creams such as NightWear Plus Anti-Oxidant Night Detox Crème contains vitamins vitamins C and E, along with coenzyme Q10. How Much Do Estée Lauder Products Cost? Estée Lauder products are considered prestige, and are priced in line with other department store brands. The Revitalizing Supreme+ Global Anti-Aging Cell Power Crème retails for $85, and four Advanced Night Repair Masks are $82. Advanced Time Zone Eye Cream is $64. Perfectionist Pro Rapid Firm + Lift Treatment with Acetyl Hexapeptide-8 retails for $108. Where Are Esté Lauder Products Sold? Estée Lauder skincare products are sold at department stores including Macy’s, Bloomingdale’s, Lord & Taylor, Saks Fifth Avenue and Nordstrom, as well as beauty stores such as Ulta and Sephora. Do Estée Lauder Products Work? 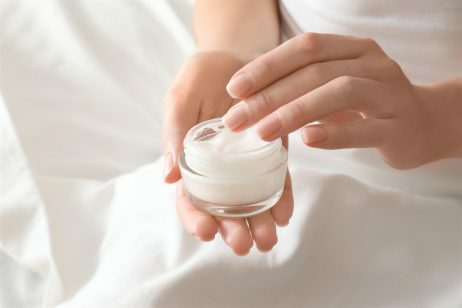 Whether or not a products “works” can be a matter of personal opinion, as well as how an individual’s skin reacts to a product. One person’s miracle product can cause a breakout in someone else, or do nothing at all. When evaluating whether Estée Lauder works, the brand certainly has its fans and has been around for a long time. Some of its iconic products include Advanced Night Repair, which has won an InStyle Best Beauty Award and Allure’s Reader’s Choice Award in 2015 and 2016. The Double Wear Foundation received a Best of Beauty Awards from Allure magazine in 2018. Pure Color Envy Sculpting Lipstick scooped an award from O, Oprah’s magazine, in 2018. What Are Some Alternatives to Estée Lauder? Estée Lauder may not be the right choice for everyone, especially anyone who may not want to spend that much on their skincare. Many of the ingredients that Estée Lauder uses, such as hyaluronic acid, vitamin C and vitamin A, can be found in lower priced brands that still offer a comprehensive line of skincare products. Two consider are Formulyst and Advanced Dermatology. Formulyst’s philosophy is long-term and effective skincare. The brand wants to help its customers achieve their best looking skin, rather than covering it up with makeup. The collection targets everything from wrinkles to dark spots and dry skin. Formulyst’s Luminous Skin Serum tackles skin discoloration such as dark spots thanks to Triple Brightening Technology, a powerful blend of alpha arbutin (derived from the bearberry plant), rumex extract (a plant that helps stop the production of melanin) and a biomimetic peptide. The serum leaves skin looking lighter and brighter. 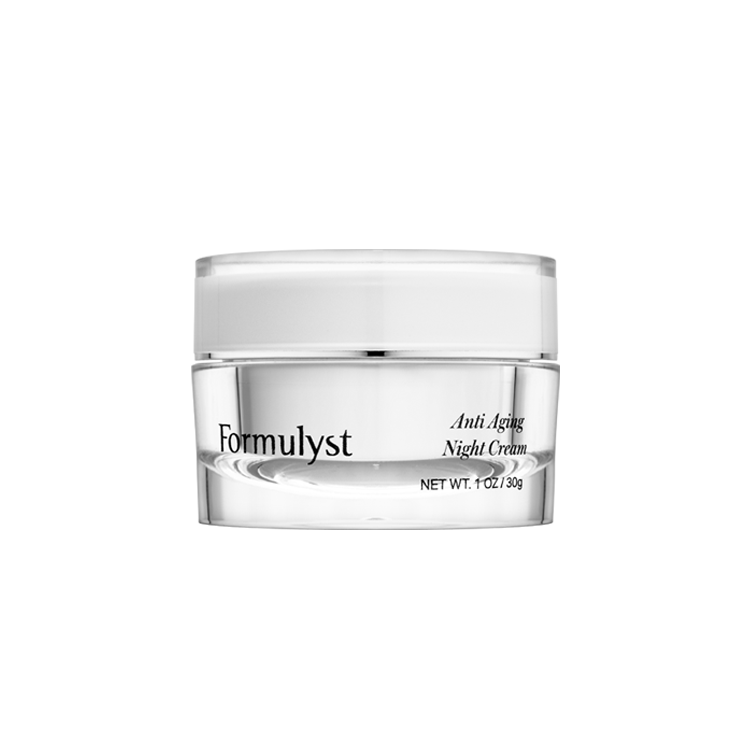 Retinol, a vitamin A derivative, is the star ingredient in Formulyst’s Anti-Aging Night Cream. What makes this formula different is that it contains a high dose of retinol but it’s also packed with ultra-soothing and hydrating safflower seed oil and jojoba to lock moisture in and soothe the skin. Dry, parched skin is no match for Formulyst Super Hyaluronic Water Moisturizer. The hero ingredient is hyaluronic acid, which occurs naturally in the body and can hold up to 1,000 times it weight in water. This lightweight, oil free formula works by attracting water to the skin and contains multiple types of hyaluronic acid – and delivers hydration without leaving skin feeling weighted down. 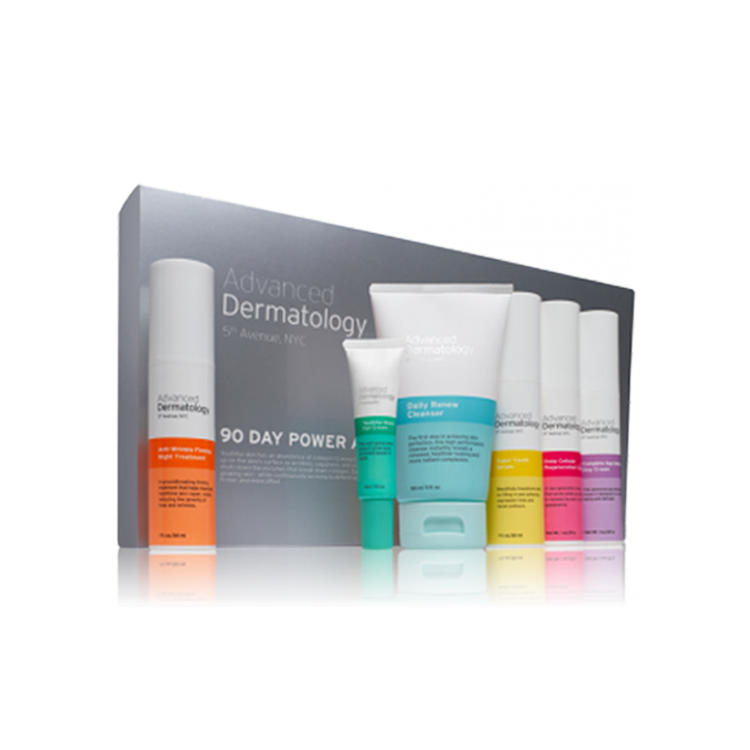 If you like the simplicity of a skincare kit, consider Advanced Dermatology. This no nonsense brand offers a pared down approach to skincare. The packaging is simple and streamlined, and the products bring skincare back to the basics. The kit contains just six essential items including a daily cleanser; serum; anti-wrinkle firming treatment; night cream; day cream and an eye cream. In other words, everything you need to achieve your best possible looking skin. Im on the process of shopping for EL skincare and i am honestly confused what to get as the info for each line doesnt seem to be out there. Everything seems to be “anti-aging” which is i am after and has now made me confused. I am in my mid-30’s, asian, skin is free of blemishes or fine lines and i wanna keep it that way. Only concern is dryness, sensitivity (eczema) time to time and clogged pores. Please help me decide from wash, solution, creme, serum etc. Thank you. This foundation has caused me to break out in hives, and have very adverse effects. I would not recommend using these products if you have sensitive skin. All hype, nothing will permanently lift your sagging skin, only moisturize it. Overpriced and if you notice-only says will improve the “appearance” of fine lines. It has silicone and fragrances. Probably some DMAE and similar ingredients which as you will also notice do not appear any place on their website. All these are temporary at best and give the optical illusion of lift and tightening with light reflecting particles. You want lift-get facial fillers or a face lift, other than that your wasting your money. , It was then recommended by the product specialist that I start using the face wash. I have since then to date been struggling with the worst acne which I never had before ever. Not sure if it is the main contributing factor but what I do know is that my face had since the use gone to bad. Which eye cream works better to firm and soften wrinkles around the eyes: RESILIENCE LIFT Firming/Sculpting Eye Cream or RE-NUTRIV Ultimate Lift Age-Correcting Eye Cream? I am 65. Hi, I just started using Estee Lauder products and must admit they are just fantastic. Resilience eye cream and they gave me the ANR eye cream as a present. Anyhow, my question is ,cause I did not ask the sales rep, my mistake, seeing I have the idealist serum and the perfectionist…what goes on first..can they be put on together or should I simply place on the perfectionist to help ease the few lines and wrinkles on my forehead ….on the rest of the face I do not have any lines/wrinkles. If someone could be kind enough to write out the steps on how I should should place on the products am and pm…I’d honestly appreciate it. By the way if you could also recommend me a night cream,,day wear does not have a night cream! As I said I have an oily/com skin type and I’m 50 years of age. Thank you in advance for the help…..Take care. What is the difference between the Time Zone line and the Resilient Lift line? I have always been an Estee Lauder, Now I am using Estee Lauder Time Zone Eye Creme and Night Cream. I love these product and use it daily. I tried Ideelist but I did not see a result and stopped using it. I prefer a simple skin care routine as I do not have the time to apply many different products. I loved reading what everyone had to say about their favorite products. I have worked for Estee Lauder for 7 years now and of course I too love the product. Not just because I work for the company but because they offer an array of products for women with different concerns, ages, and skin types. Personally my top fav’s are ReNutriv Intensive Age Renewal creme (its a “super creme” – meaning it has a dual functionality of serum & moisture in one) Ultimate Radiance foundation and let’s not leave out ANR. I do want to clarify Megan’s comment about ReNutriv only catering to “older” skin, although most women who use it are mature but it is formulated in a way that it is suitable for all women. I’m 30 yrs old with a normal/combo skin and the products target my concerns. If you haven’t tried it, heard of it, scared to ask etc….I hope I’ve helped with easing you into asking for a consultation(although unfortunately it is not available at every counter you visit) but if its close to you….go check it out. Yes you spend a little more but again, they are all “super cremes” giving you the option to use a serum for extra benefit or just the creme…genious! I am in my mid 50s and have deep wrinkles and lines on my face and around my eyes. I have been using Estee Lauder since I first received samples from my grandmother and have seen the launches idealist, perfectionist, re nutriv, resilience lift and daywear. They are all great products and if you can afford the range go for it, it is better money spent than on botox + it is natural. First of all, I am a big fan of Estee Lauder skin care products. My skin has never looked as good as it does now and I have just starting using Estee Lauder earlier this month. Well worth the price tag. I wish I had a Sephora in my town as I love beauty products and the store that sells Estee Lauder in my town doesn’t have the entire range and most of the time it is unattended so it is a challenge getting their opinion. I used to swear by Estee Lauder Re-Nutriv Age Renewel Cream until they brought out Resilience Lift. This is a firming product that irons out wrinkles and tightens the face. It works if you use it for long enough. And of course Estee Lauder serums are wonderful. I use both Ideelist and Perfectionist and they have been doing wonders for my face. I use the Estee Lauder Re-Nutriv Range (Including Re-Nutriv Ultimate Lift Age-Correcting Eye Creme, Re-Nutri Softening Lotion and now Re-Nutriv Ultimate Lift Age-Correcting Creme). You can add Advanced Night Repair and Ideelist to the range. Estee Lauder Re-Nutriv is for older sky types with wrinkles and it is more moisturizing and a thicker product than the other brands. It is full of goodness. I have to put it straight after I am out of the shower or my skin is in pain.